The more I blog, the thicker my skin gets. Overtime, I've learned to prepare myself before reading the comment section at the bottom of my posts. With great inventions, we have to take the bad with the good. It's been wonderful that newspapers and magazines make their articles available to us on the Web, but it also means that individuals can post outrageous, defaming, and insulting comments underneath each article -- opinions that would never be published in a print edition. And blogs are great, but with them comes a countless number of off-subject comments that only express hate and ignorance. No matter what I publish on the Huffington Post website, I know that the atheists are going to be commenting in full force. Their comments often won't have anything to do with the subject I wrote about, rather they will be self-serving statements about their viewpoint. I recently wrote on the Huffington Post about the importance of giving equal significance to the celebration of the birth of a baby girl in Judaism and the discussion in the comments section turned into a polemic against ritual circumcision. And of course any blog or article on the Web that even mentions Israel will soon have the page littered with hundreds of inflammatory anti-Israel and anti-Semitic diatribes accusing Israel of the occupation of Palestinian land. Earlier this year, Ron Kampeas quoted the American Jewish Committee's David Harris in an article on the JTA.org website about the nature of Web commenting. Harris, an avid blogger for Huffington Post, said, "To read some of the reactions to anything I write about Israel is sometimes to require a very strong stomach -- it can be nasty, over the top, vitriolic and dripping." Nevertheless, Harris believes that it's important to continue blogging and responding to his critics, whether on Huffington Post or the Jerusalem Post, which has a notoriously controversial talkback section. Abe Foxman of the Anti-Defamation League feels differently. He said, "It's a magnet for conspiracy theorists and for haters. I look at it and sometimes wonder why am I bothering." Now, an Orthodox rabbi has ruled that his students are forbidden from responding to articles on websites and blogs as it may lead to religious and moral transgressions. 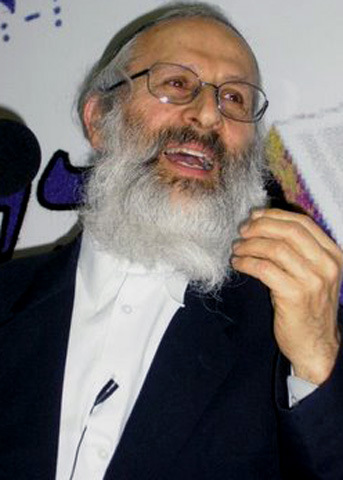 yNetnews.com interviewed Rabbi Shlomo Aviner, one of Religious Zionism's leading rabbis, who "stressed that this isn't a halachic decree or a comprehensive ban from a higher rabbinic authority, it is a ruling he gave to his students after receiving a question via text message which asked: 'After reading a 'kosher' article is it all right to take a look at the talkbacks?'" Rabbi Aviner's responded "No" to his questioner on the grounds that it would lead to lashon hara (gossip), humiliation and valueless time consumption. In Aviner's opinion, the ability to respond to articles and publications and to hold debates should have promoted "clarification and reformation of ideas and opinions" which is why "it could have been a wonderful thing", but instead it is used for diatribes and gossip under assumed identities which the Torah sees as "cursed be he that smiteth his neighbor secretly." Gary Rosenblatt, editor of The Jewish Week, issued a call for greater civility in discourse before Rosh Hashanah this year. He wrote, "Name a contentious issue, and the two sides line up to spew their vitriol, each convinced the other’s policies would bring disaster. There is a great deal of anger, fear and contempt expressed. But no real dialogue, little if any appreciation for the other side, and less and less willingness to hear another point of view in the hopes of reaching common ground. One practical concern is the missed opportunity for meaningful discussion in... the comments area on our website." As we enter the new year of 2011, my hope and prayer is that there is increased civility on the Web. Cyberspace is a big place and anyone with an internet connection can post their opinion, no matter how extreme or offensive it may be. But perhaps everyone can exercise some restraint and make the comments sections a more enjoyable place to engage, learn, and share ideas. I was about to read the comments to the blog but then I learned that there was a gezeirah against it.